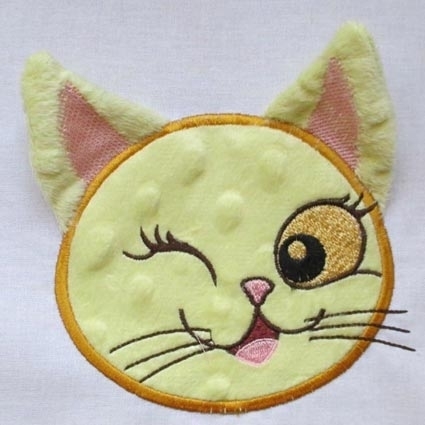 This applique design is so much fun! Both ears are created in a separate hooping and attached to the head in the hoop. Great for shirts, hoodie towels and so much more. Use fleece, terry, etc. See actual size below. Finish Size: Face 3.91" x 4.72"
Finish Size: Ears (2) 3.09" x 5.05"
This design is also available in a larger set. Just click on the "Just Ears Set, 7 Designs - 4x5" link above in the "You might also like" section for more information.